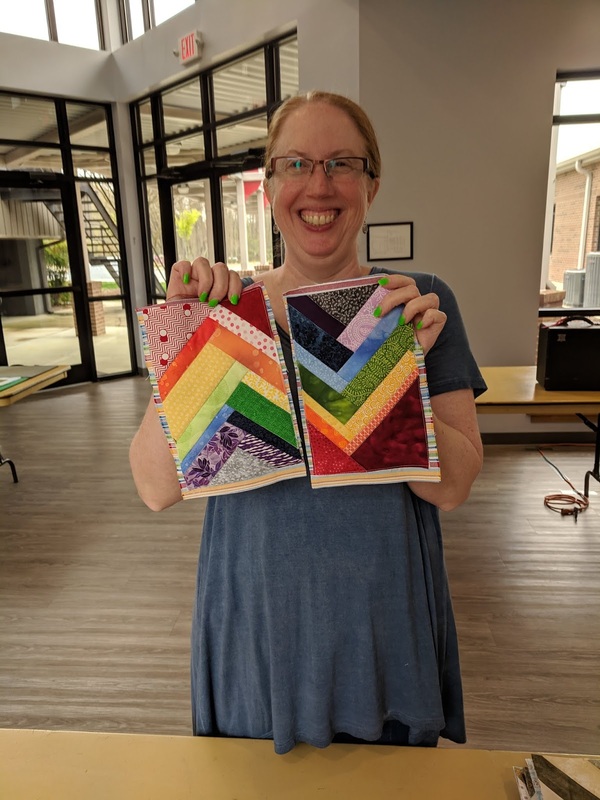 Welcome to another edition of Wonderful Wednesday!! 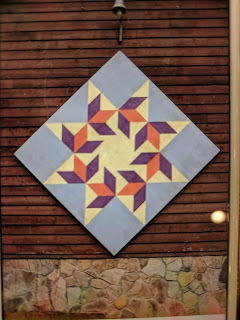 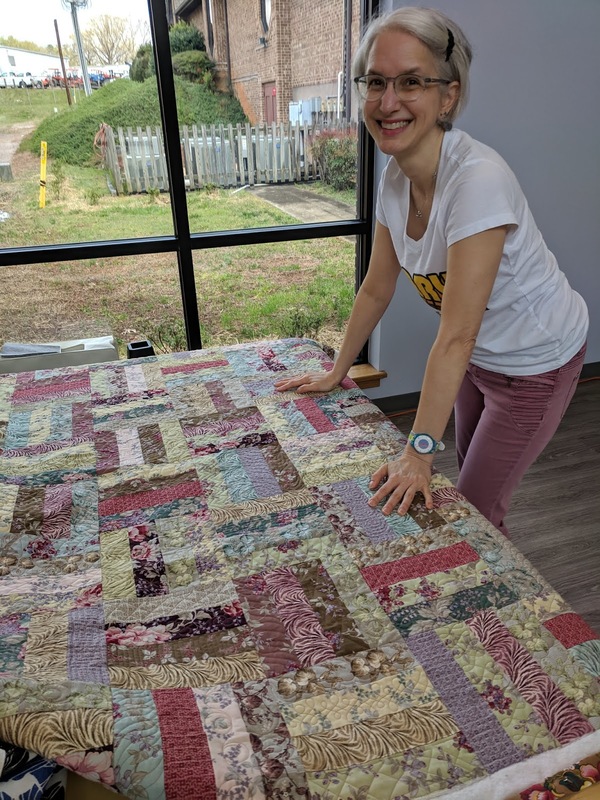 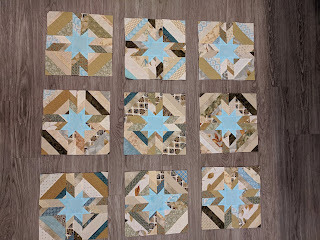 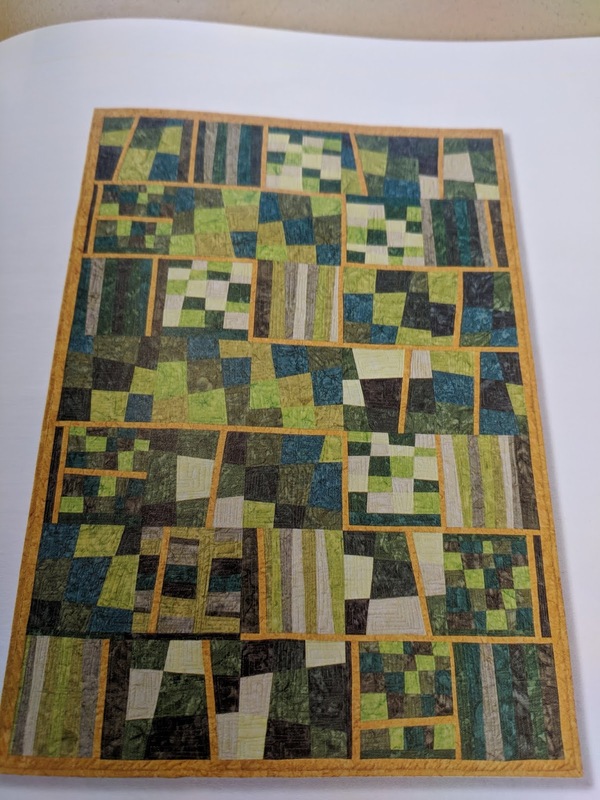 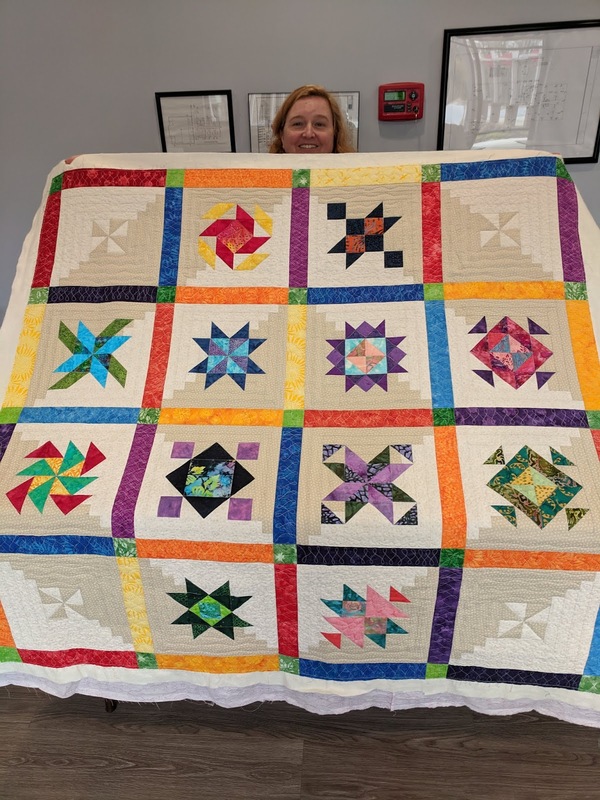 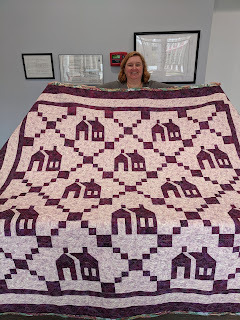 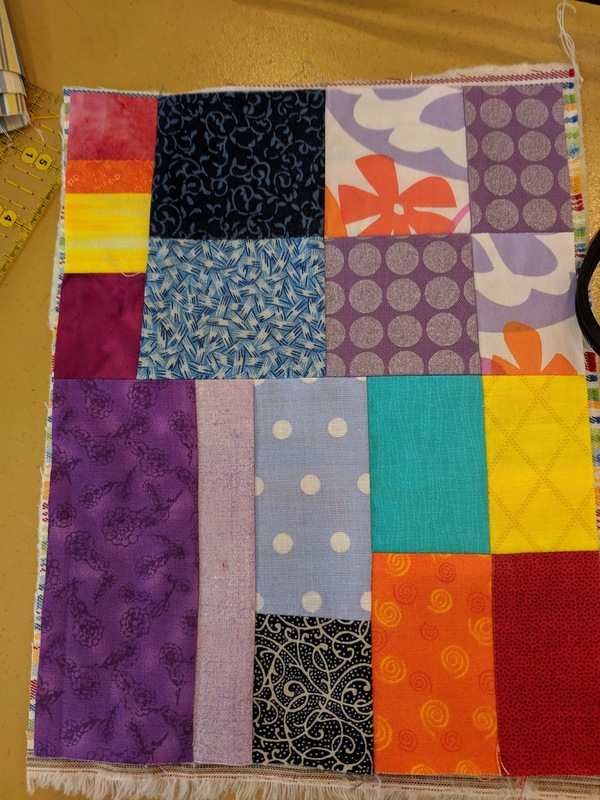 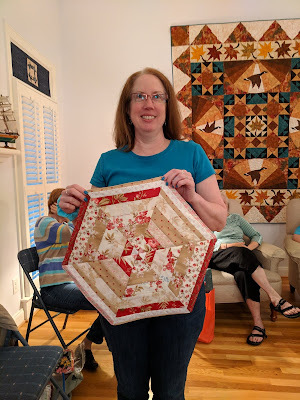 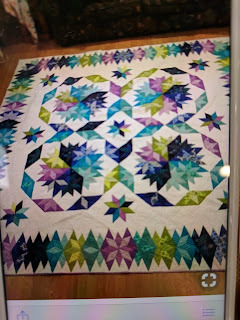 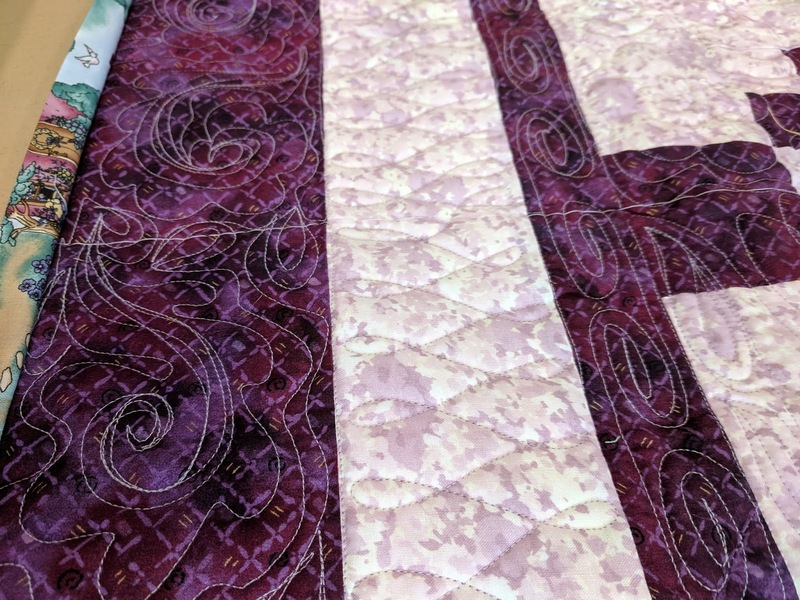 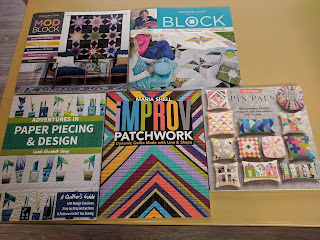 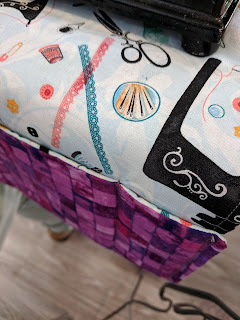 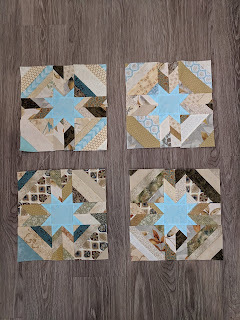 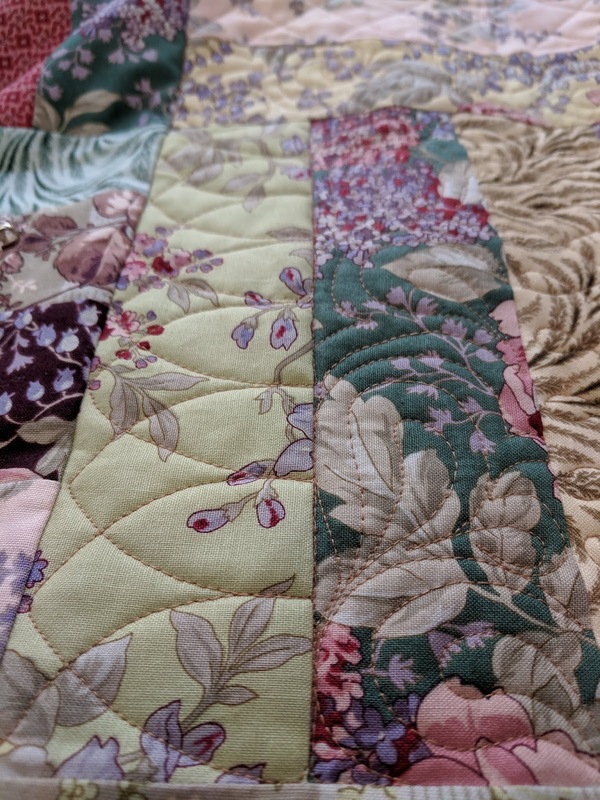 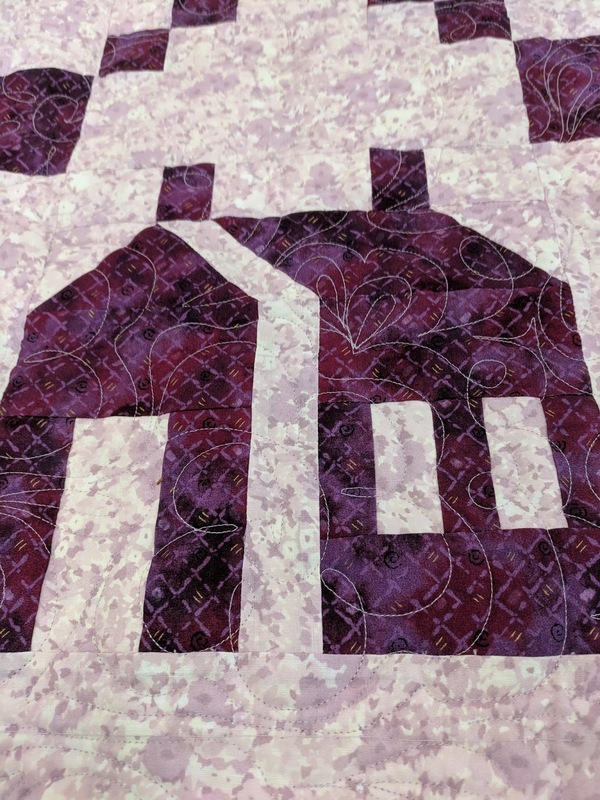 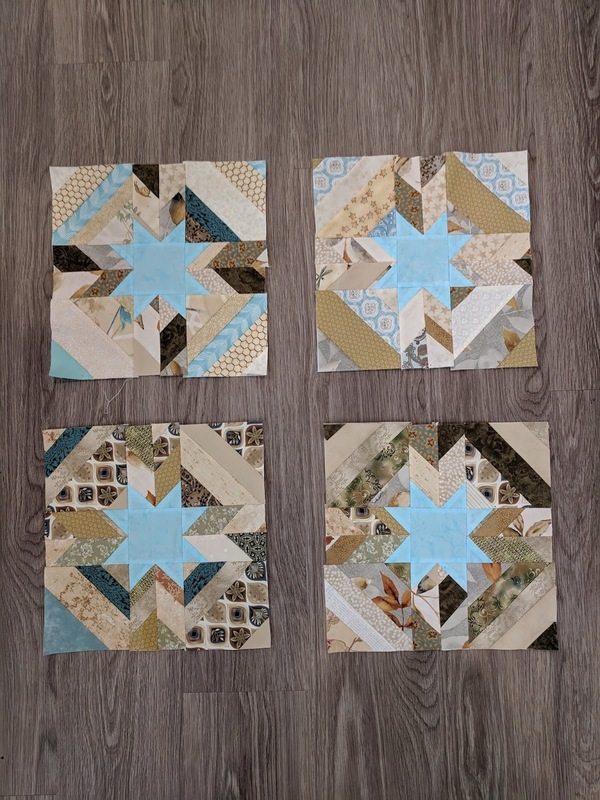 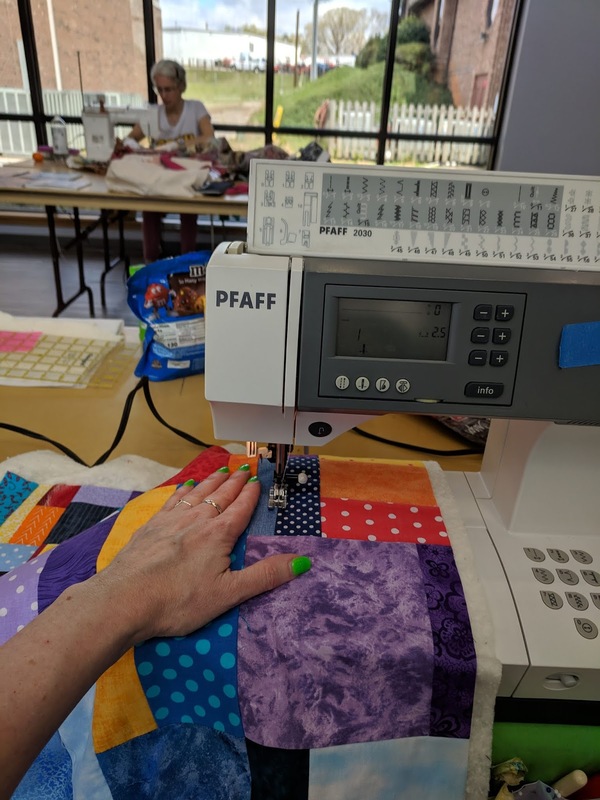 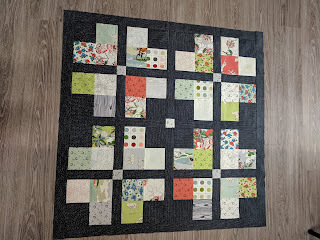 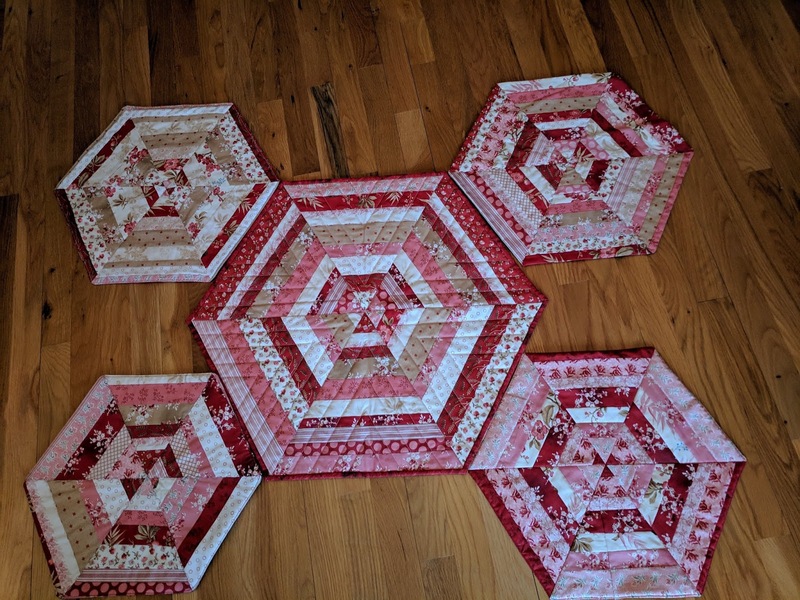 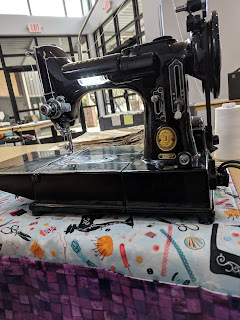 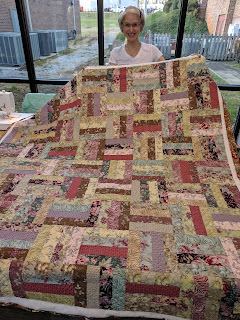 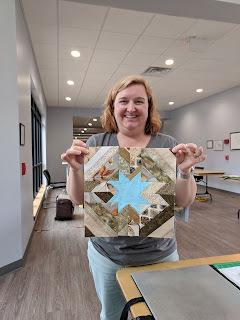 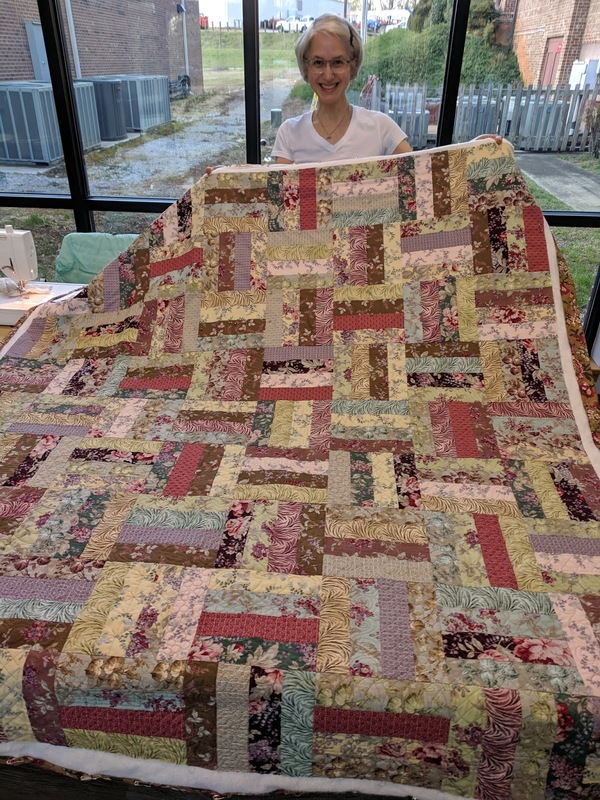 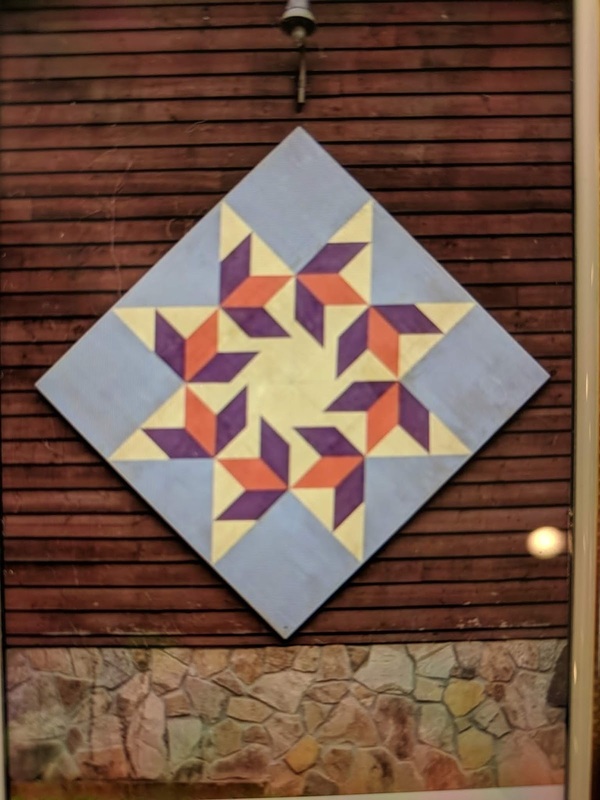 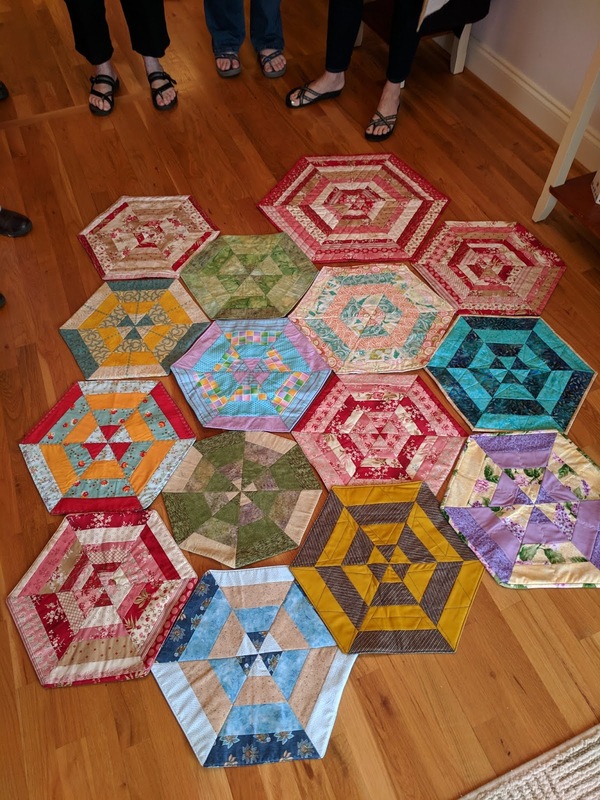 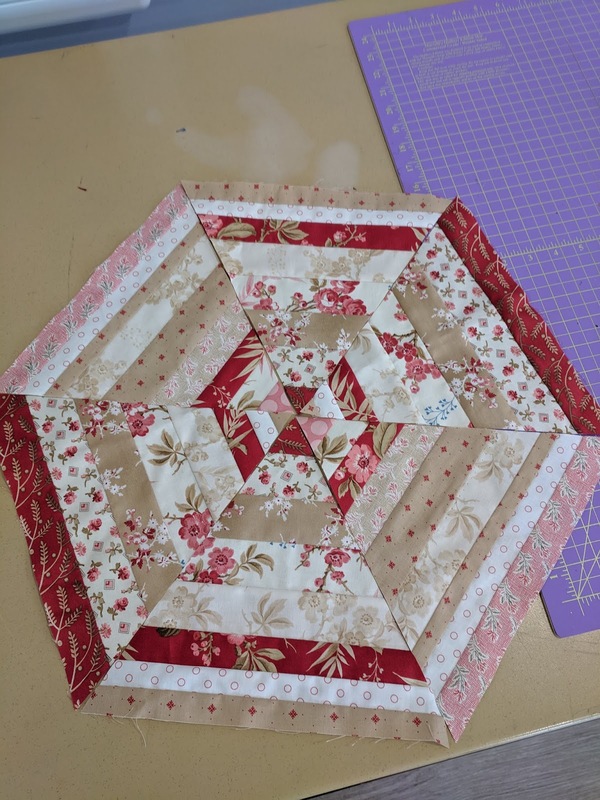 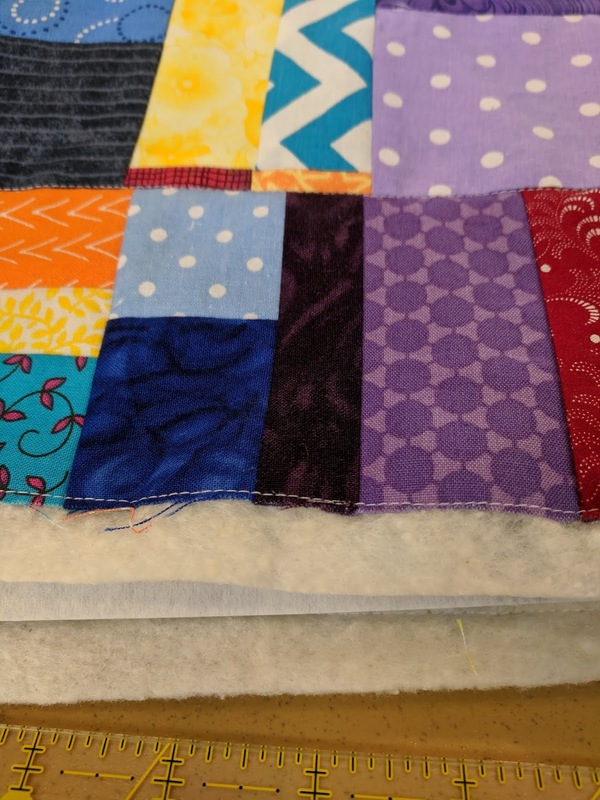 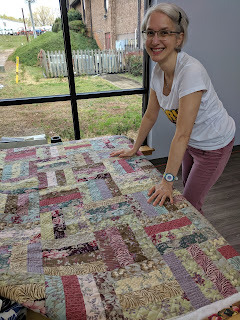 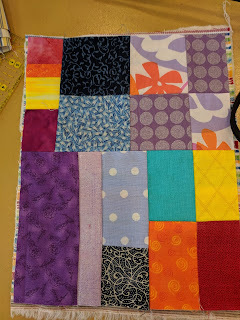 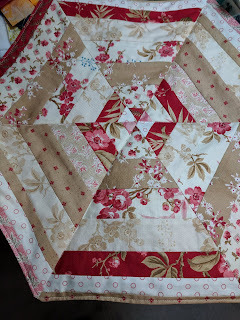 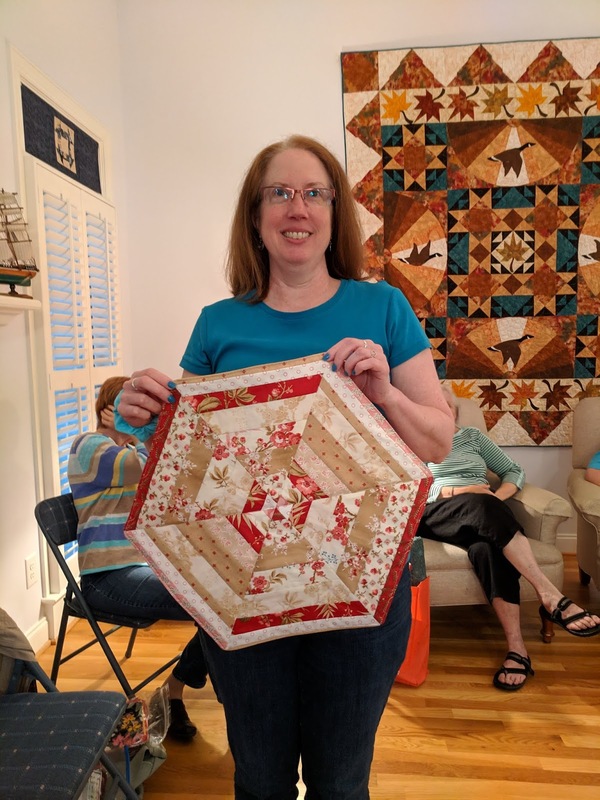 I'm here to tell you about my recent quilty finish. 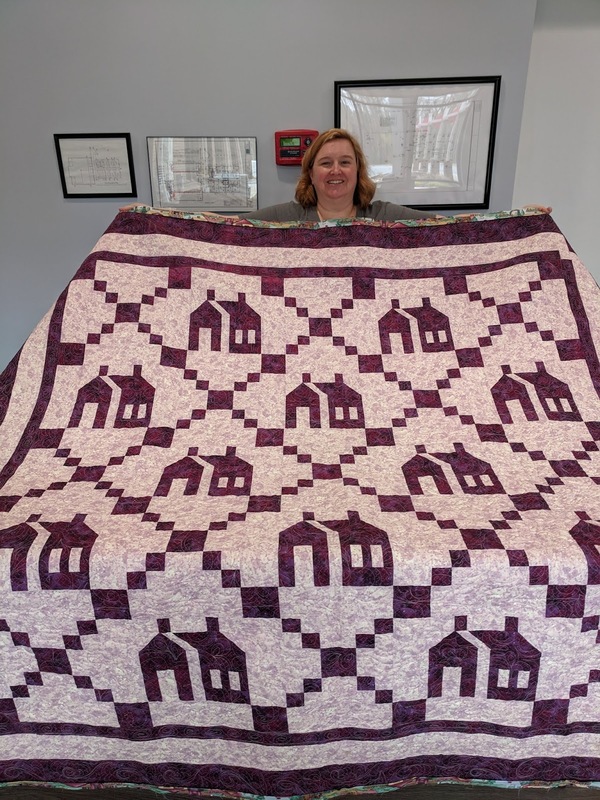 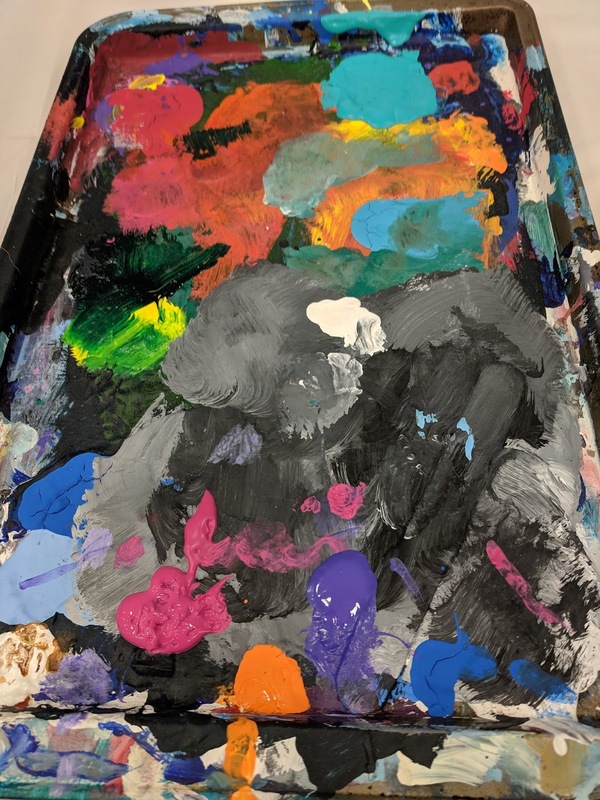 It's a donation piece for an event at SECU Family House, in appreciation for their gracious hospitality. Our Quilt Bee hosts Sew Days there two or three times each year. 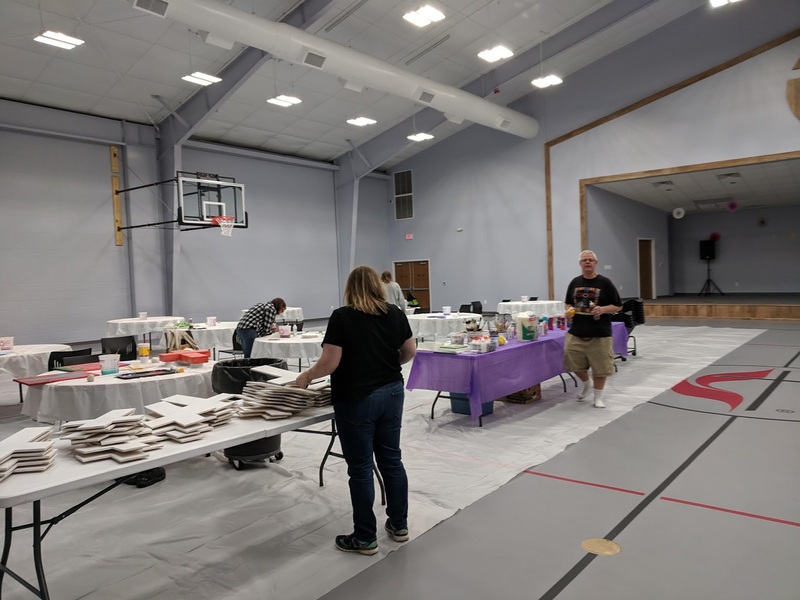 We are honored to be able to give back with our time and talents. There's one more that didn't make the photo. 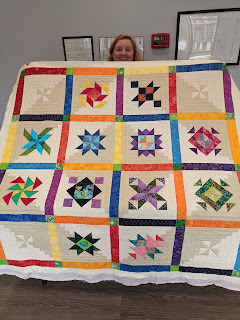 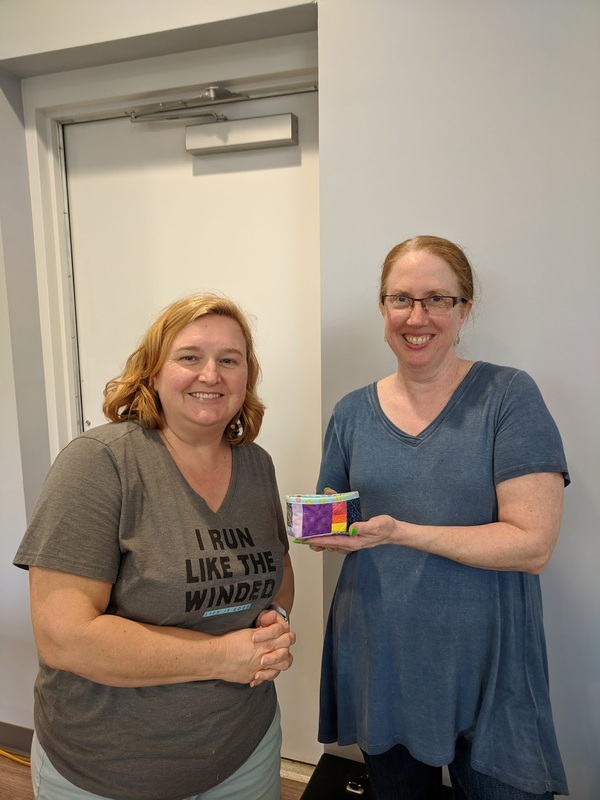 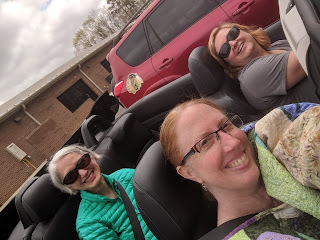 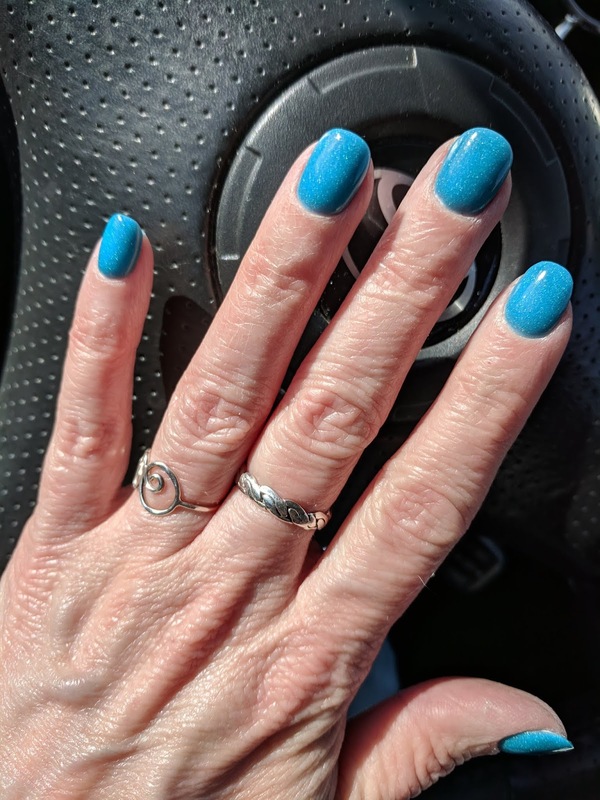 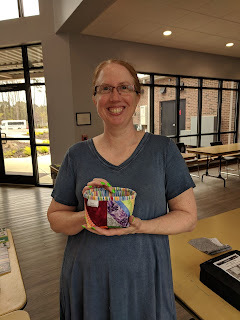 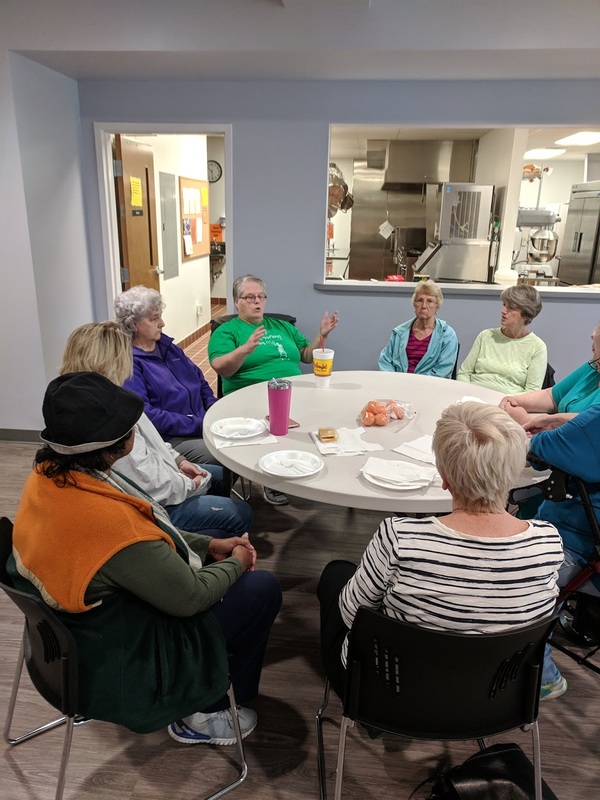 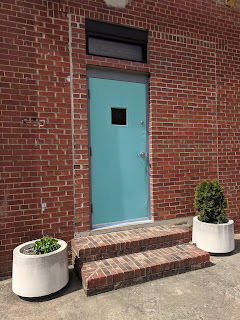 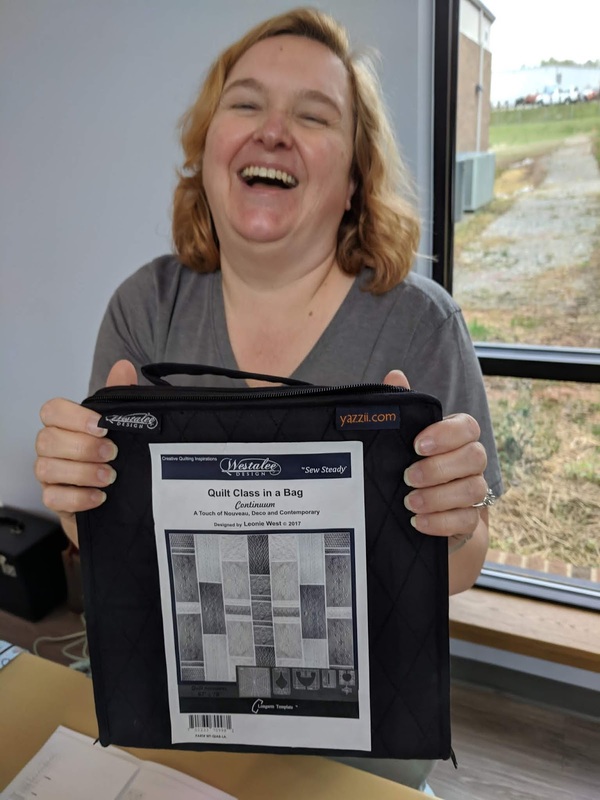 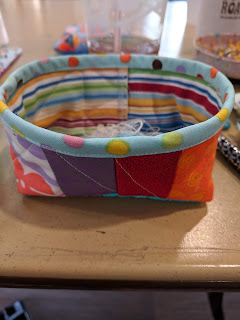 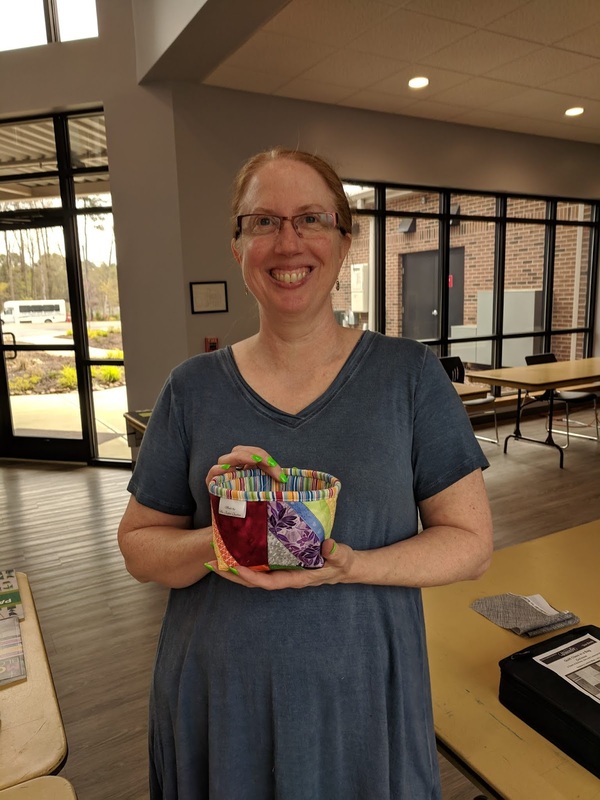 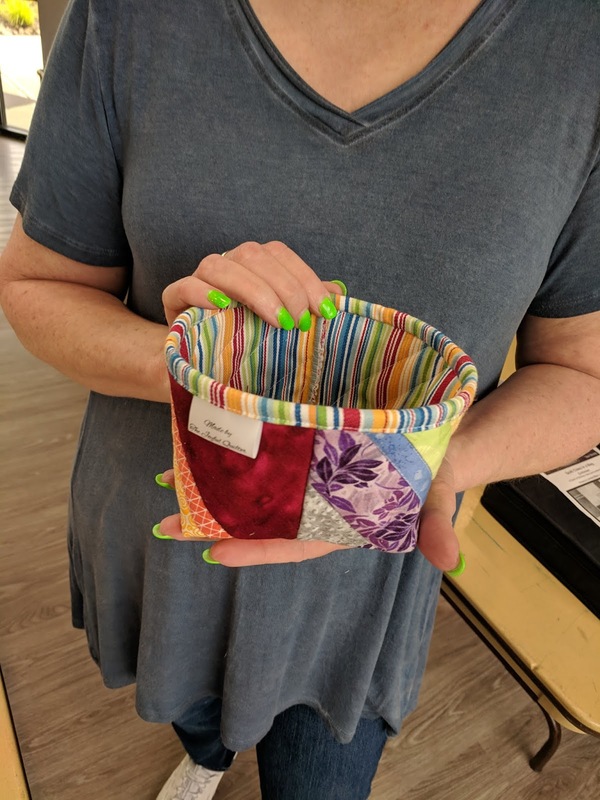 This is my 2nd Spring 2019 (Ravelry) UFO Club finish. 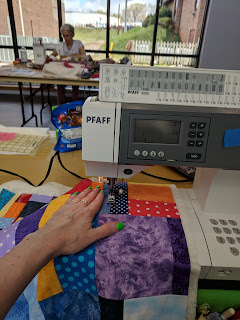 I am SEW happy that I actually remembered to add it to the list! 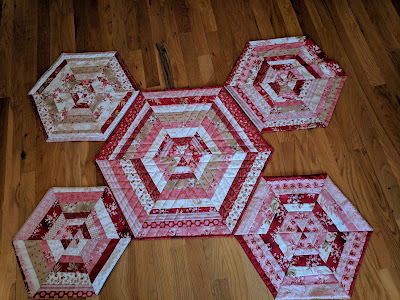 I'm even more pleased that I was able to complete it on time. 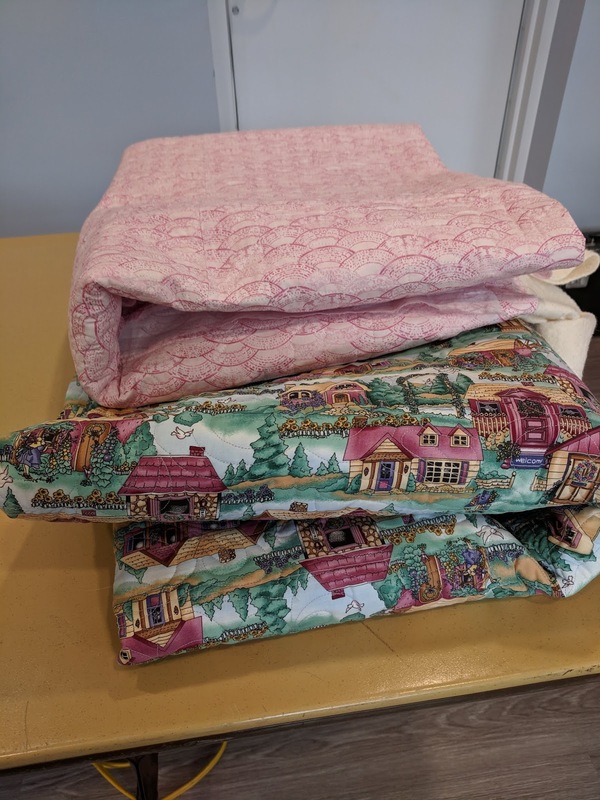 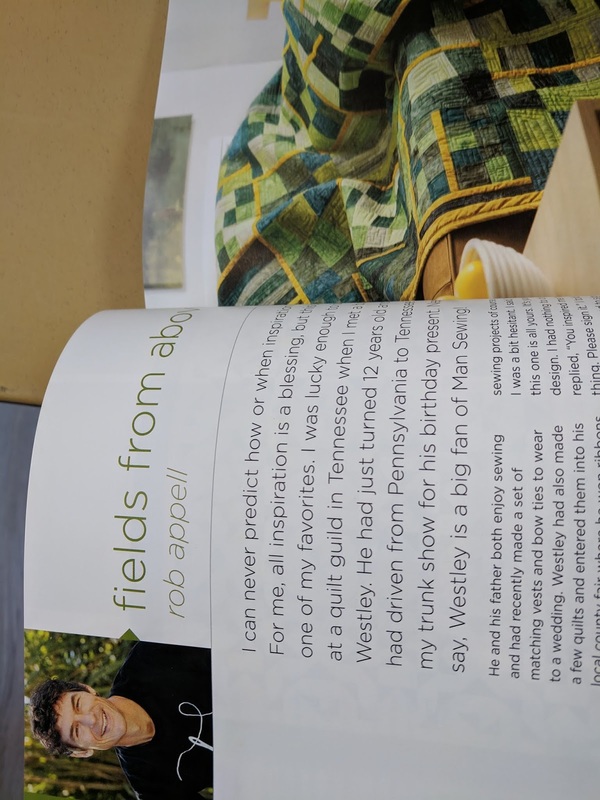 I want to send a special thank you to Pineapple Fabrics for their generous contribution in support of our charity work!! 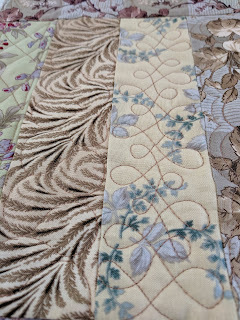 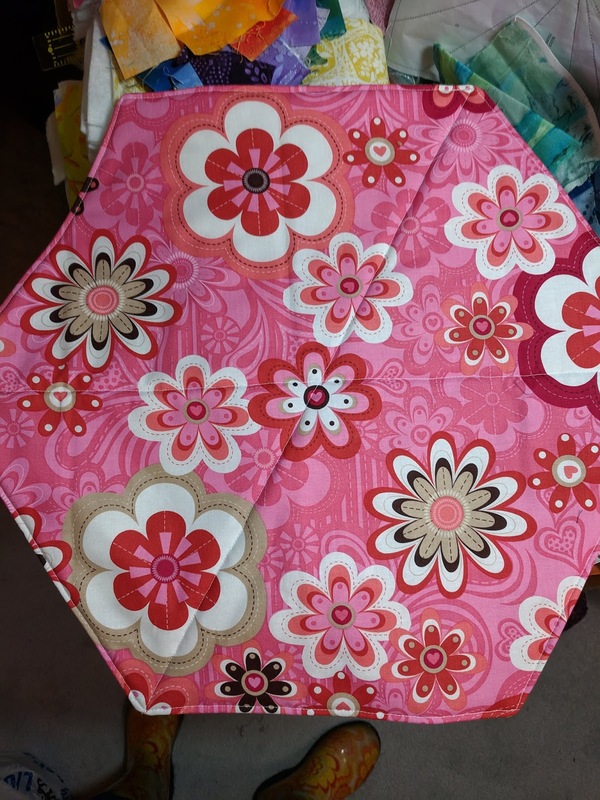 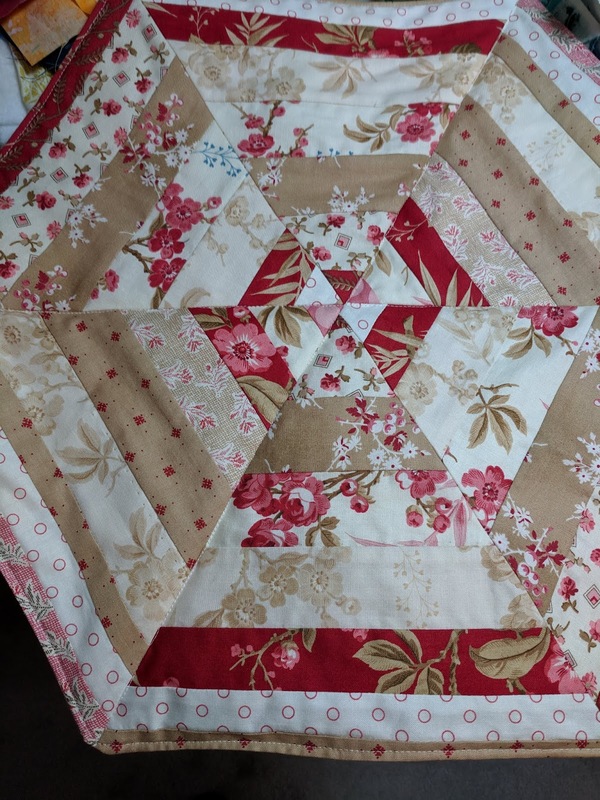 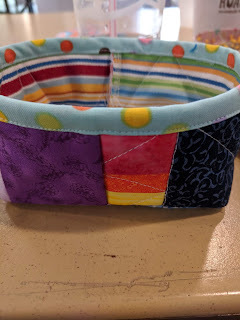 (Hoping) NON-Quilters won't notice quilting imperfections!!! 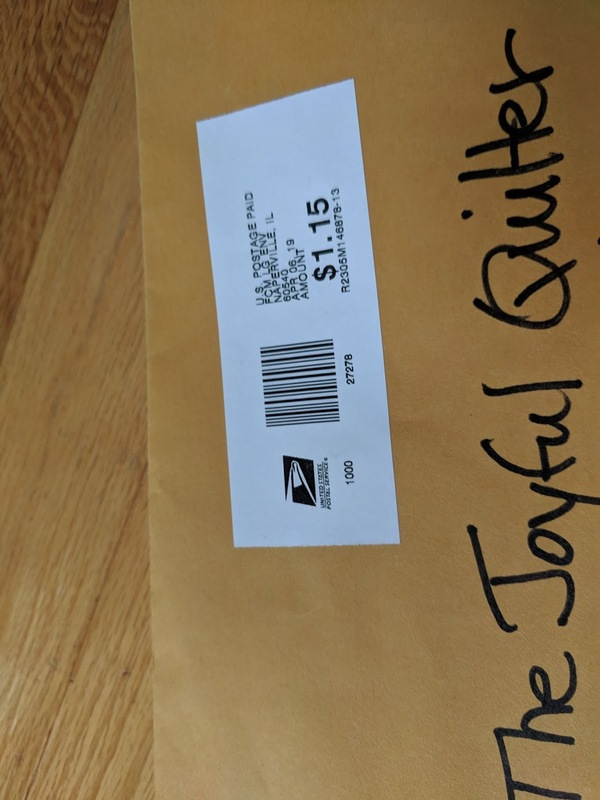 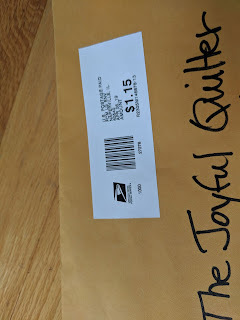 Welcome to another edition of Mail Call Monday!! 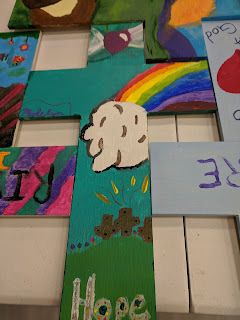 As you may or may not know, I am collecting blocks for Angels in Gumboots. 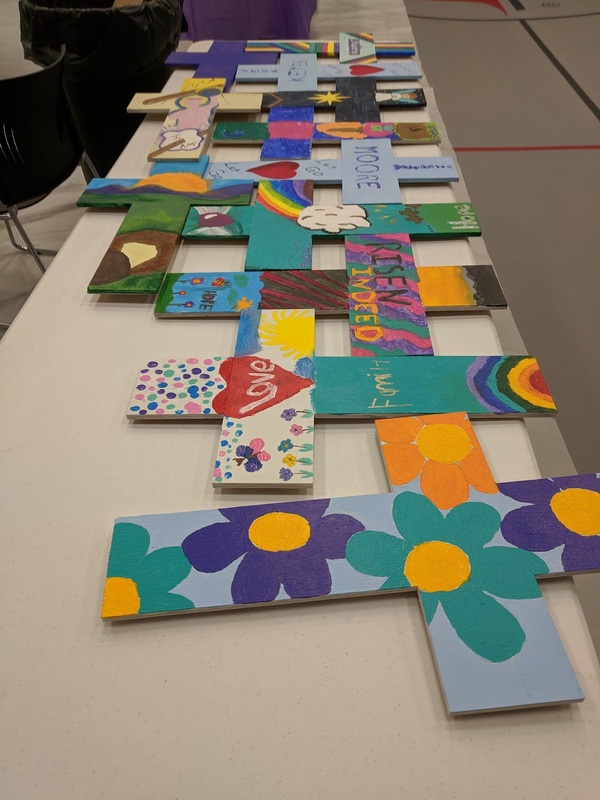 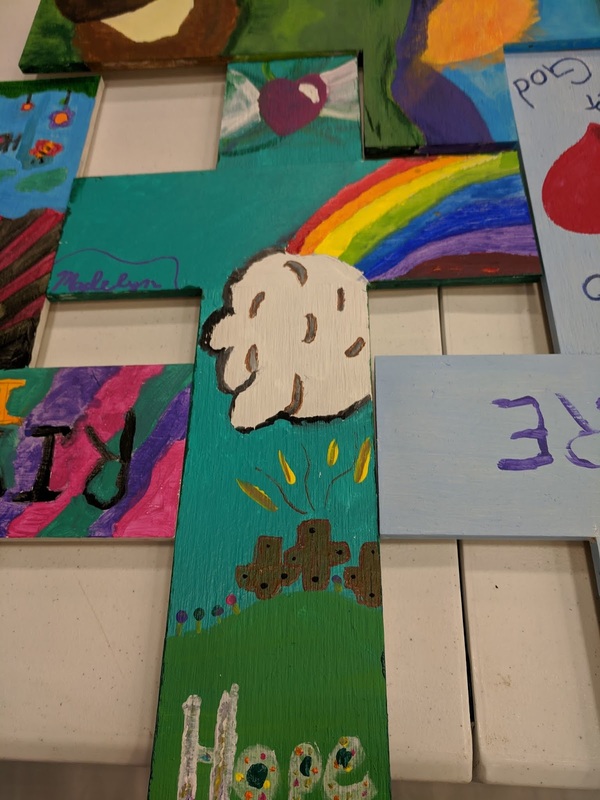 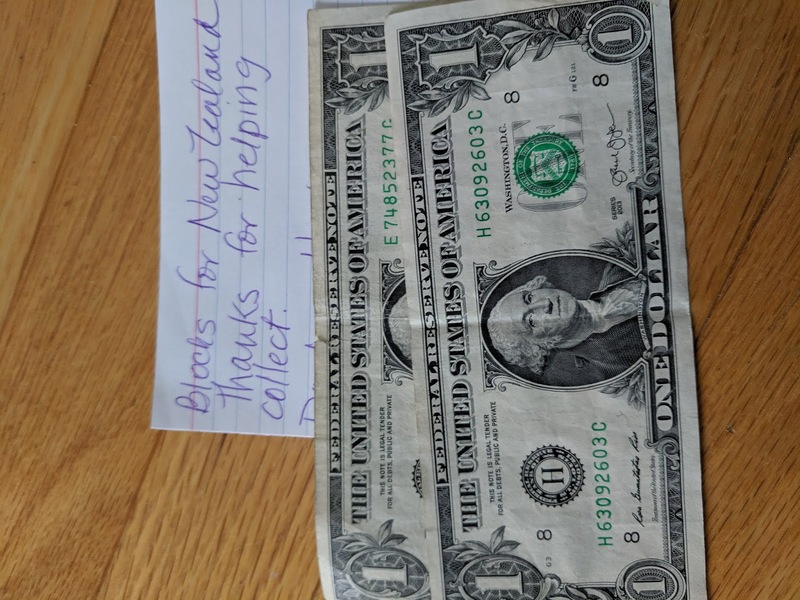 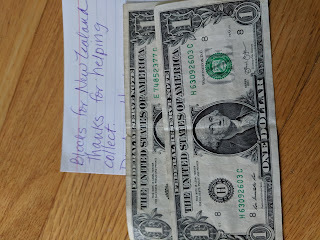 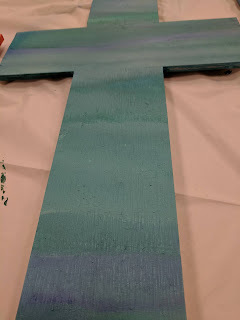 They are doing a block drive for Christchurch, New Zealand. 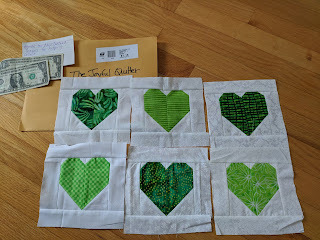 Welcome to another edition of Wonderful Wednesday!! 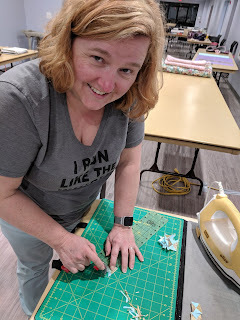 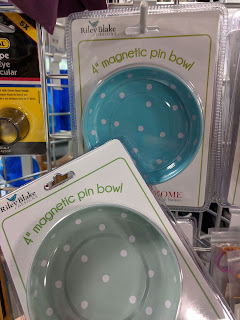 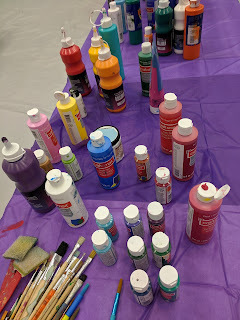 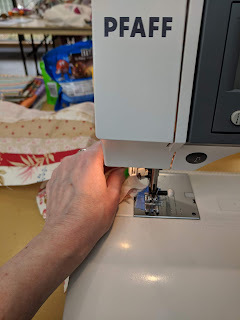 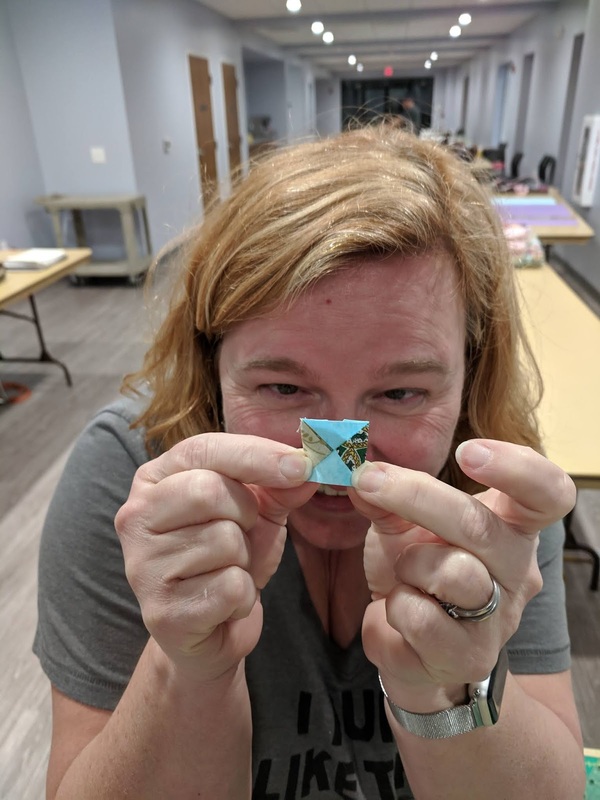 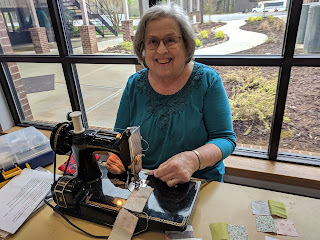 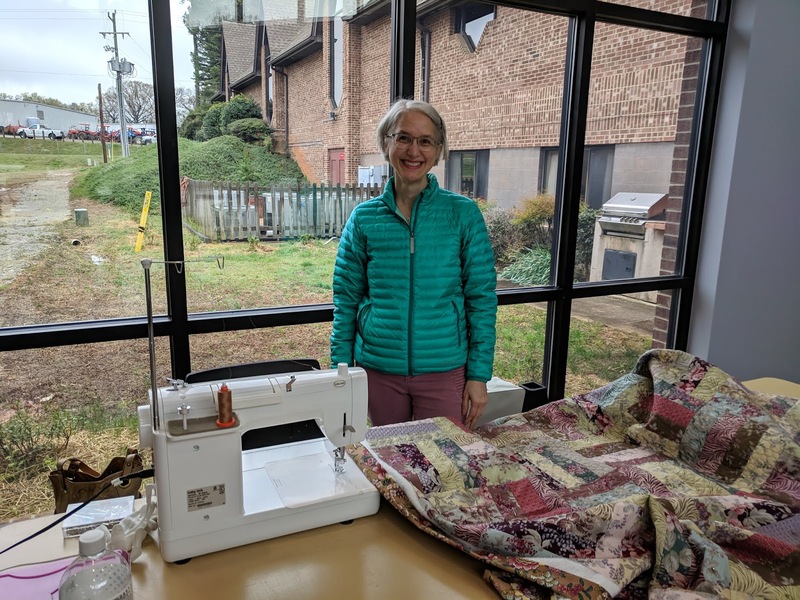 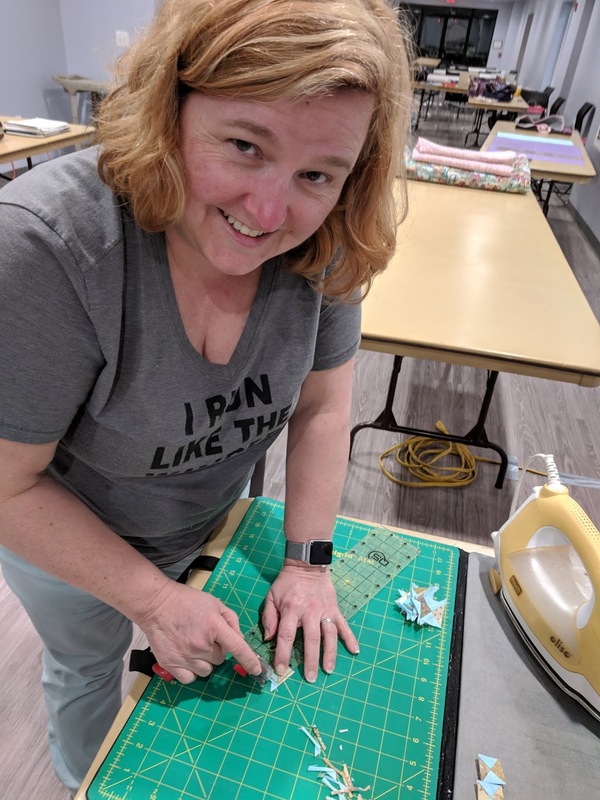 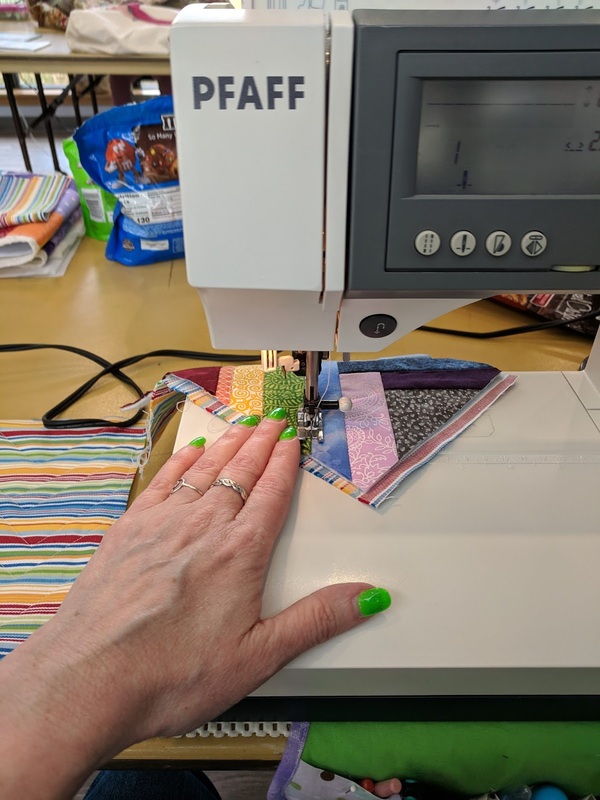 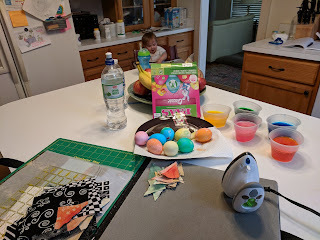 This week's post will give you a glimpse into Saturday's Sew/Craft Friends-zy for the month of April. 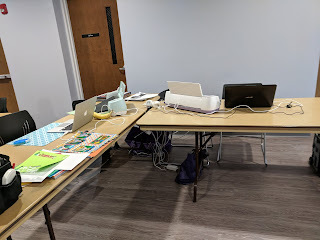 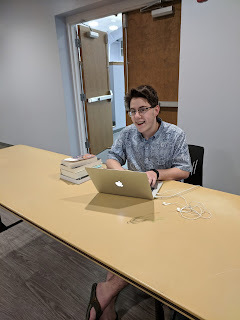 We had a really small group this time. There were only 4 quilters and 2 scrapbookers. 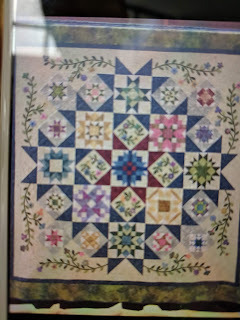 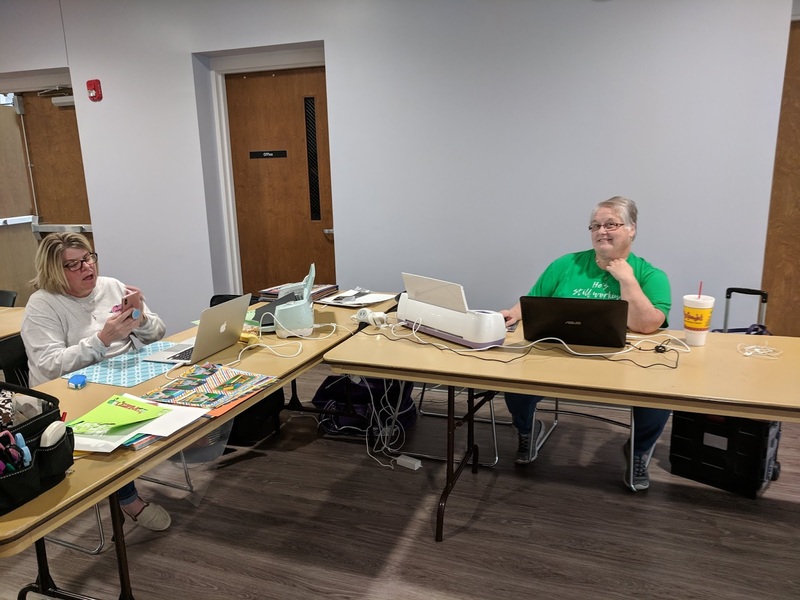 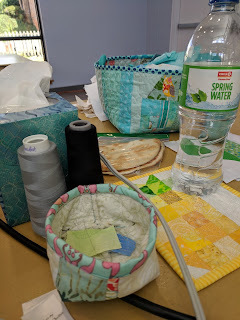 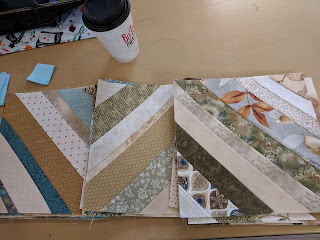 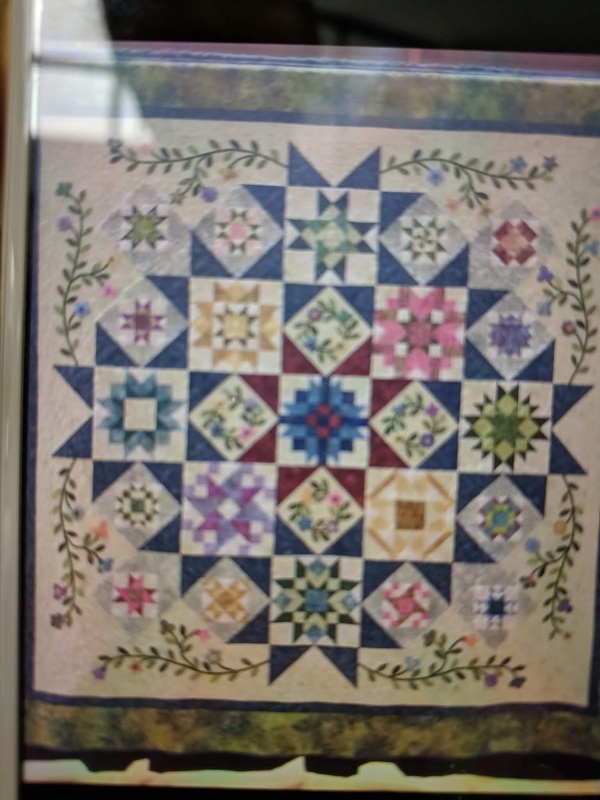 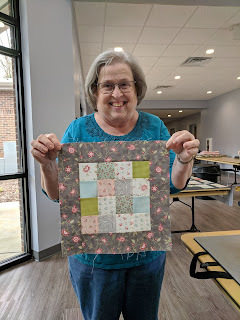 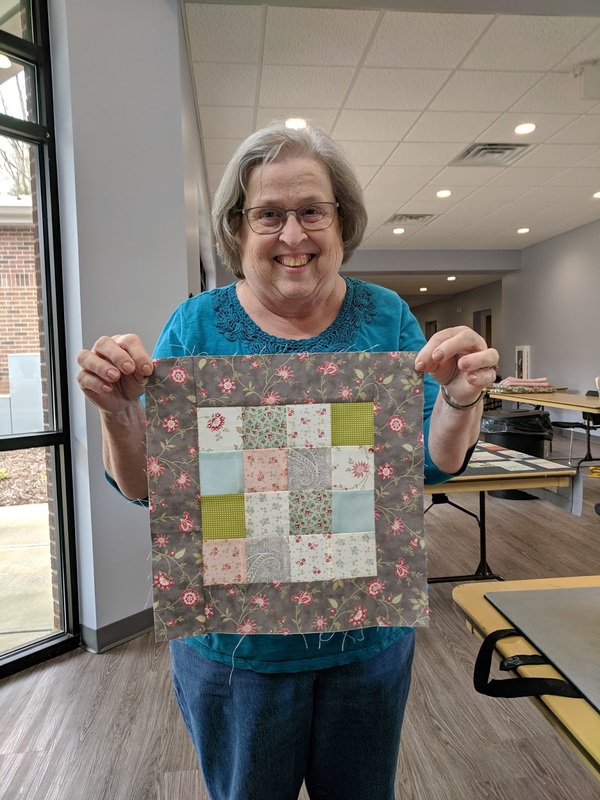 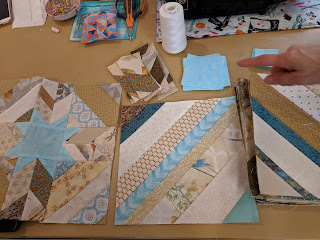 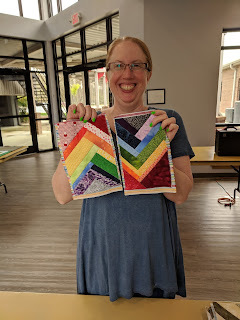 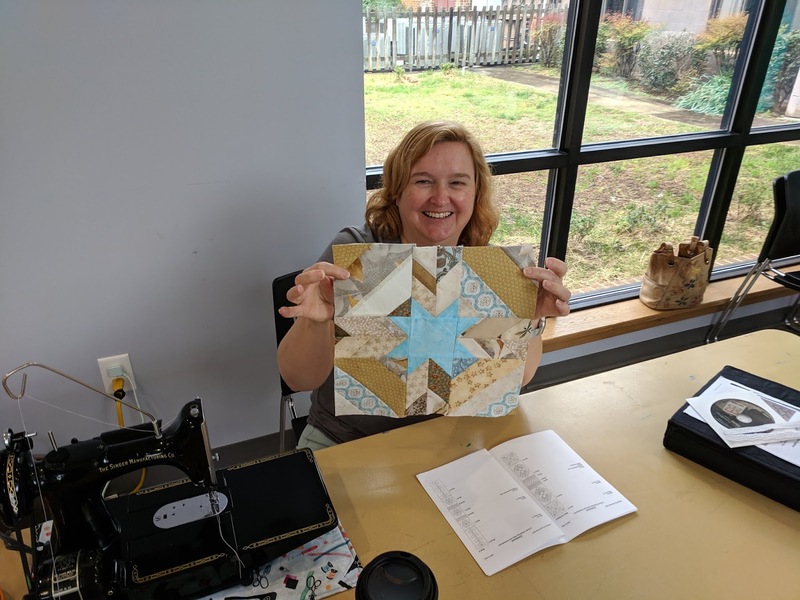 I'm not sure how the scrapbookers fared, but the quilters were rocking and rolling! 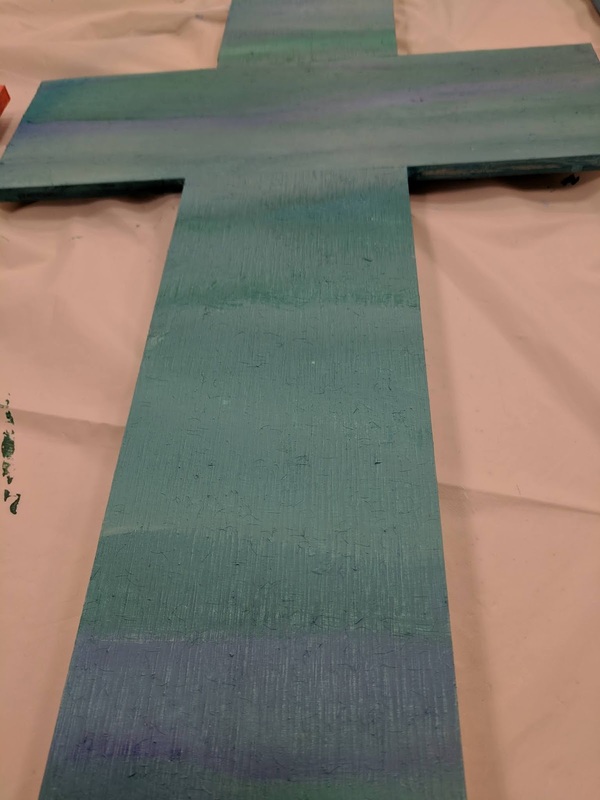 Nice try, Tiffany!!! Hmm... wonder what she's making??? It's time to pack up, so we'll have to wait to see.